Anyone that leaves their tools on the jobsite knows that there is always a risk of them growing legs during the night; this is also a problem for contractor's supplies and materials. We all do are best to make sure things are as secure as possible, but we can never really be sure if they will be there the next morning. If you have a multimillion dollar contract, then security guards are probably your best bet; but many contractors are on a much smaller scale. The other day I spotted a product online called Tattletale which looks like it could solve some of these security problems. It is basically a portable alarm system that communicates wirelessly with a number of sensors you place around the jobsite. Sensors include everything from indoor & outdoor motion detectors, to smoke detectors, and even an alarmed security loop for heavy equipment and materials. 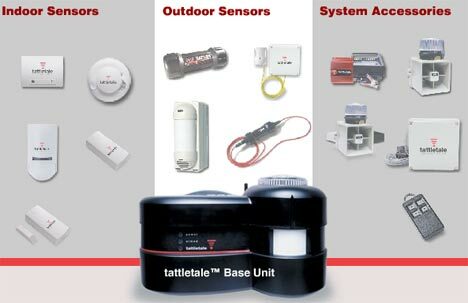 Tattletale has pretty much everything covered, including 24/7 wireless monitoring, but of coarse all this protection comes at a price; the base station alone cost $800 plus $150 - $400 each for various sensors. Additionally you will need the 24/7 monitoring service which costs $420 a year. Depending on the size of the jobsite, the cost can really add up. So, is your jobsite worth the cost of Tattletale protection?